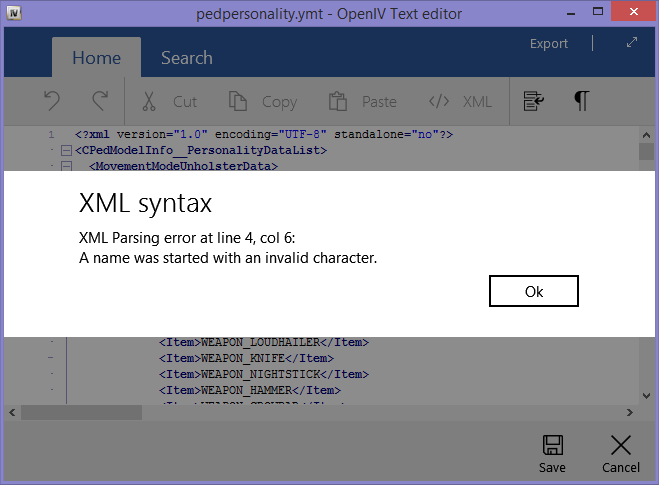 We added support for highly requested PSO file – pedpersonality.ymt. As always with OpenIV this is means, you have all the names and string values in file. 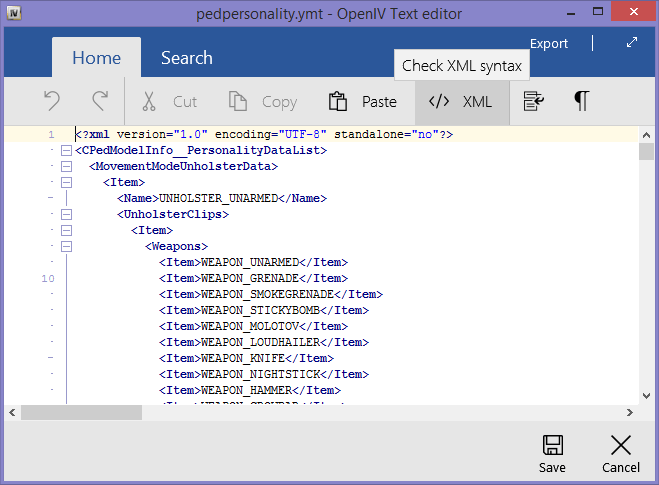 You can edit pedpersonality.ymt in inbuilt OpenIV Text Editor or export and import it as META/XML. The “Title Update” notification for outdated update.rpf in “mods” folder now also shown in read only mode. In previous versions, it was shown only in edit mode and some people might miss it because they do not have edit mode enabled by default. 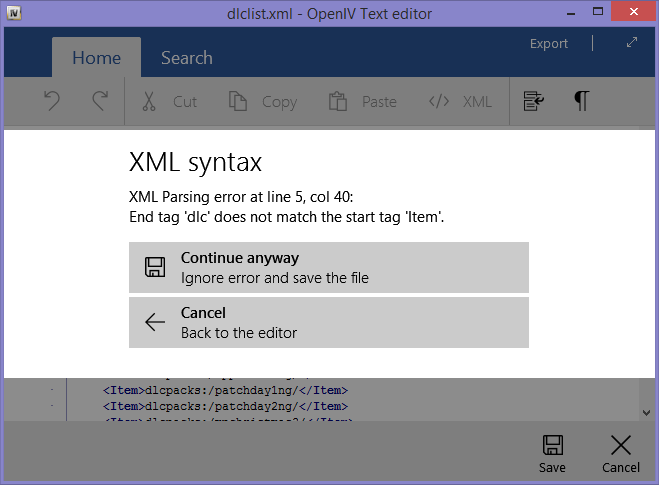 From now on, text based .dat files, .gxt2 files and .nametable files will be opened in OpenIV Text Editor. We added support for new version of carcols.ymt from Arena Wars update. We added support for new shaders in openFormats for GTA V models from Arena Wars update. We added new names for audio tracks from Arena Wars update. We added new names for objects and models from Arena Wars game. We fixed critical issue where OpenIV was not able to import big number of openFormats files due to memory leak. We fixed critical issue where some audio files become completely silent in the game after importing from openFormats. We fixed an issue resulting in OpenIV crash while importing openFormats with specific DDS files. We added new option to always open extended context menu in the main window. Copy name and Copy path features in context menu will now work with multiple selected items. 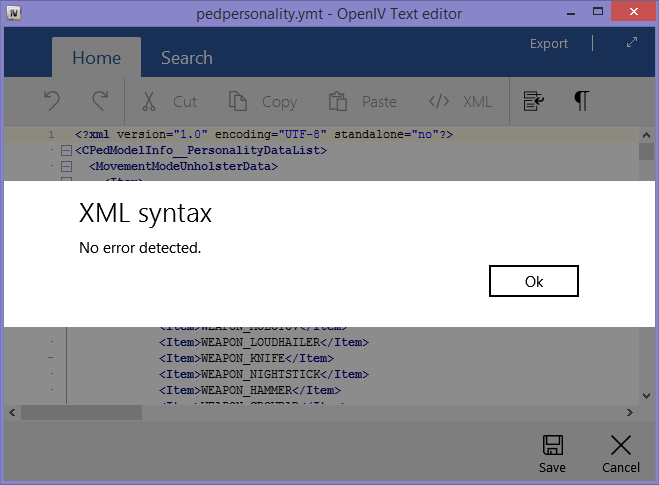 We added additional information in the error messages when OpenIV is unable to edit archive. We added additional information into corrupted archive error to try to determine what causes the corruption. We added combined size of selected files into main window status bar. When you double click on OIV Package inside OpenIV, it will open it in Package Installer. We added option to show “Confirm installation dialog” in Package Installer. This option enabled by default. We added additional information into Package Installer log when it is unable to edit archives. We fixed an issue resulting in OpenIV crash if Package Installer was unable to create log file. We fixed an issue resulting in broken scroll bars in Package Installer. We fixed an issue where OpenIV global search did not worked properly while game was running. We improved performance of global search it now should be much faster in most cases. We fixed an issue where OpenIV Texture Editor did not show error message if it was not able to load DDS file. 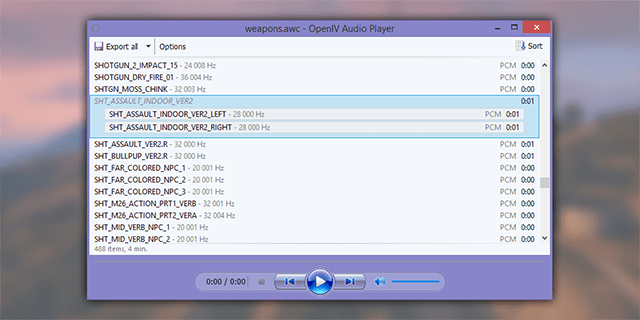 We added new option to show track name hash into OpenIV Audio player. We have an instruction how to translate OpenIV into your own language and we are calling for you to do so. You can find the localization guide on GitHub. As for existing localizations, you can find list of differences between 3.0 and 3.1 here. 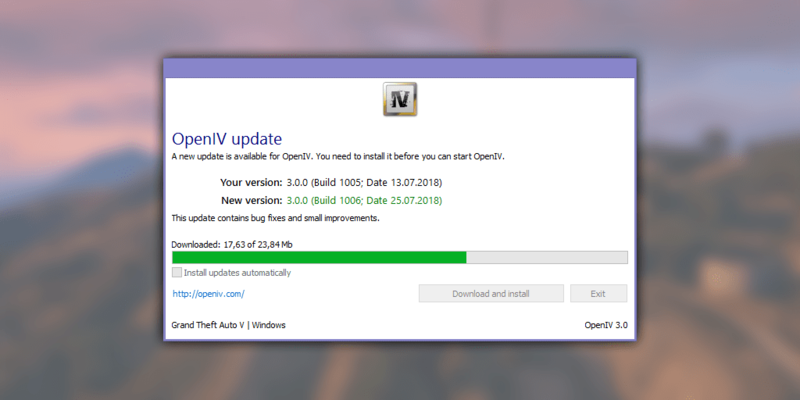 Today, we are releasing “After Hours” compatibility update for OpenIV 3.0. We added new names for audio tracks from “After Hours” game update. We fixed an issue resulting in crash while playing some audio from PS3 and XBOX 360 versions of GTA V.
Today, we are releasing July 2018 Maintenance Update for OpenIV 3.0. We made some changes to improve support for multichannel audios. The name of multichannel audio is now displayed in Italic font to show that OpenIV generates this name and it not comes from the game file. We trying to catch some annoying OpenIV crashes, so we added more debug information in certain places.